Before we get started, let me tell you a little about myself. I am NOT a doctor, nor am I a trained medical professional in any way. I am a mom. 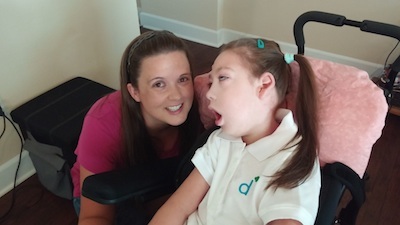 My daughter, Casey, has very complex medical needs. I joke with other moms of children with complex needs that not only should we all be able to pass the medical tests, but also many of us are rewriting the medical books every day. That being said, I want to help explain her condition, Cerebral Palsy (CP), in mom terms. Take a second and think about the flu. Every year the CDC is busy working to come up with a new vaccine for the current strand of flu. There is not a single vaccine that can be reused each year simply because there are many different types of flu. You can think of CP the same way. There is not one treatment option as the term CP is very general and can apply to many different things. CP is a group of disorders that affect a person’s ability to move and maintain balance and posture. CP is the most common motor disability in childhood. Cerebral means having to do with the brain. Palsy means weakness or problems with using the muscles. CP is caused by abnormal brain development or damage to the developing brain that affects a person’s ability to control his or her muscles. The brain is a very mysterious and powerful organ. Someone once told me that we know more about the brain than any other organ, yet we still can’t even begin to understand it. We can create synthetic hearts; we can replace almost all other areas of our body. When it comes to the brain, however, we still have so much to learn. CP is a condition of the brain. The doctors told us when my daughter was first diagnosed that the brain itself is intact, but the wires are kinked, crossed, missing and flawed. Her brain may be telling her body to bend her knee, but her body instead flexes every muscle from head to toe. Conditions of the brain, such as CP, have been studied and are much more understood today than they were even a year ago. Being that the brain is still very mysterious, there is not a cure for CP, there is no form of prevention, and each CP diagnosis is unique. Many people hear the term CP and immediately picture someone sitting in a wheelchair, or struggling to walk with braces and canes. Sure, those images may be forms of CP, but there is much more to it. Some people with CP can function without the need for these aids at all. For some, CP is not always even present; it may appear as twitching, tremors, or involuntary movements that come and go. Cerebral palsy can affect large and fine motor skills, as well as movement, balance, coordination, posture, and muscle tone. Generally when people are diagnosed with CP they are classified as having hypertonic or hypotonic muscle tone. Hypertonic refers to muscles that are very active, usually making them appear stiff or flexed. It’s easy to remember this if you think of a term we have all heard many times, hyperactive. We all know when we hear hyperactive it is usually referring to a child that is always going. It’s the same thing–hyper (always going) plus tonic (referring to muscle tone). Hypotonic refers to muscles that are generally flaccid and inactive. You can remember this by thinking of hypoallergenic. I live in Austin, Texas, which is a mecca for allergies. Many of us search high and low for hypoallergenic products. Hypo means without or non-reacting. Terms such as Rigidity, Spasticity and Dystonia are also commonly used to help classify CP. Rigid, spastic and dystonia are all ways of saying that muscles are stiff, and are all forms of hypertonic CP. These three terms are not as easily differentiated as hypertonic and hypotonic. The main thing that differs with these terms is how the stiff muscles react to pressure. Imagine bending a stiff knee. When you apply the pressure, the knee begins to bend. In some cases you can get it to a point, then extend it back to the beginning point. After extension it may be easier to bend on your next attempt, getting looser and easier with each pass. However, when the motion is stopped the knee will return to its stiff locked position. This example would be a spastic muscle. Now picture the same knee. However, it does not get easier with each pass. Instead the pressure required to bend and extend the knee remain the same. When the pressure is stopped the knee remains in the position last met. This example would be a rigid muscle. Now picture the knee one more time. This time as you are trying to bend the knee, the opposite leg may start to twitch or the child may arch their spine in response to the pressure on the knee. This would be an example of dystonia. Of course, there is a LOT more to these different diagnoses. If you want to know more about how these differ, there is a lot of content online, or you can always ask your doctor. While muscle tone and muscle reactions are all part of your CP diagnosis, the muscles affected also contribute to the diagnosis. Many of us have likely heard the terms quadriplegic and paraplegic. “Quad” means four and “para” means two. Quadriplegic refers to all four limbs (arms and legs) being affected, while paraplegic refers to two limbs (usually the legs, but it can be the right or left side of the body). The term “plegia” means paralysis. This can be a little misleading, though. Some kids are diagnosed with quadriplegic CP, but they are not what most of us would think of as having paralysis. Instead, think of paralysis as not having full control of a limb or limited to no purposeful movement. Some children have more manageable CP that affects a smaller muscle group, or is not consistent. Each child’s CP diagnosis will be unique and may or may not include some of the common terms and classifications I am describing in this article. Just like there are too many strands of flu to list them all out, there are too many ways that CP affects a child. There are a few standard treatments for CP. There is a general treatment plan for hypertonic and another for hypotonic muscles. Each of these treatment plans is a starting point. For some people the standard treatments are enough. However, many families add to their treatment plan, and for some the standard treatment plans provide no relief or benefit at all. There are also a few off label (not using a drug as it was originally intended) treatments that have been successful with CP. Range of motion (ROM), which involves stretching and moving the muscles, is usually the first thing suggested for a child suspected to have CP. There are active and passive exercises that can be done. ROM is basically bending and extending the different joints throughout the body. ROM can help to prevent stiff muscles from getting stiffer and can help to strengthen floppy muscles. Any physical or occupational therapist can show you some exercises to do with your child if you are interested in doing some ROM. For many children, a doctor such as an orthopedic doctor, development pediatrician, or physiatrist, will suggest physical, occupational or speech therapy. 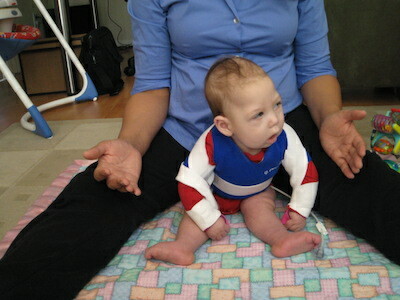 The therapist will work to relax and strengthen your child’s affected muscles. In addition to exercise, there are many chemical interventions (medications) that are used. The most common is Baclofen. Baclofen is intended to stop or interrupt the signal from the brain to the muscle. If the medication works as designed, it can help to reduce muscle tone dramatically. Some people that see good results with this medication will have a pump surgically placed to administer the medication directly into their spine. It is strongly recommended to try this drug orally (or through a feeding tube) or sublingually (under the tongue) before getting the pump. There are many other drugs in the same class as Baclofen that can be tried if Baclofen does not work. There are also many seizure drugs and anti-anxiety medications that are often tried off label to help with CP as well, such as Clonazepam or Dantrium. Some patients try injected treatments for CP. Botox injections are pretty common. A doctor can inject the stiff muscle groups with Botox. Botox is a controlled form of botulism, and it is designed to temporarily limit a muscle’s ability to contract. For some patients that do not see results with Botox, Lidocaine is sometimes suggested. Lidocaine is temporary just like Botox, but instead of stopping the ability to contract, Lidocaine numbs the area and puts the muscle to sleep so that the contraction signal is not received. Surgery is sometime suggested as an option for CP. Some surgeons can cut or lengthen muscles or tendons to help relax them and provide relief. With all medications, injections, therapy treatments and surgeries there are potential risks and side effects. It is up to each of us to weigh the pros and cons and determine what is best for our child. There are some children that try all of the treatments (on and off label) and nothing helps. It can be very defeating to try one after another and not see any benefit. 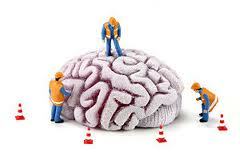 Each year new medications are being created and the medical community is learning more about the brain every day. You may not have an effective treatment today, but there may be one just around the corner. I have heard many parents say that their child is too young to be diagnosed with CP. This is not entirely true. Many doctors may wait before giving the official diagnosis, but it can be detected and diagnosed very early. There are some insurance companies that require the CP diagnosis in order to get certain treatments covered. A lot of infants and toddlers get these treatments through early childhood intervention programs and do not need the diagnosis for insurance reasons until they turn three and age out. For some minor cases, a child can overcome a lot of the CP issues seen early on with therapy and early intervention. This may be another reason we don’t often see doctors giving a CP diagnosis early. If you suspect that your child has CP, regardless of age, you can always ask their doctor for his or her opinion. Getting any diagnosis is scary. A CP diagnosis can feel like the end of the world. There are a lot of options out there–no cure, but a lot of treatment options. You may have to deal with it for the rest of your life. You CAN live with CP. Many people with CP live very full lives. 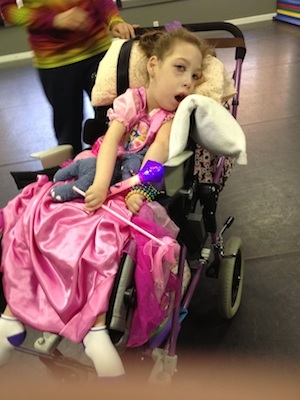 My daughter has a severe form of CP and it doesn’t stop her from taking dance class, swimming, and doing all kinds of fun stuff. Marty and her husband Tim have been married since 2005 and welcomed their only child in 2006. Marty’s daughter, Casey, was born with a severe brain injury (that includes MANY complications). She has defied all odds since day one. Casey loves to sing, dance, do arts and crafts, swim, watch movies and snuggle. She is nonverbal—but VERY good at making her point. Every day with her is a gift and an adventure. Marty is very active in the special needs community, virtual as well as physical. Each year Marty and her family host holiday parties for local central Texas families with children that have special needs. Marty also has many tools and resources that she has developed over the years to help other families like hers. These tools are available on Casey’s website for anyone that is interested.